In 2017 the Daily Mail was by far the biggest offender when it came to making up inaccurate content. They had 37 inaccuracy-based complaints against them upheld by the press self-regulator IPSO. That's more than twice as many as the two next worst offenders (the Daily Express and The S*n). It's important to bear in mind that these 37 upheld complaints only scratch the surface of the dishonesty and inaccuracy of the mainstream press. IPSO only proceeds with investigations if newspaper content provokes a wave of public complaints. Even if numerous people do complain, it's entirely up to IPSO whether they bother conducting an investigation or not. Even though the complaints procedure is so inadequate, the number of rulings against inaccurate content paint a concerning picture of a right-wing dominated mediascape where cynical hacks working for billionaire propaganda barons (Jonathan Harmsworth, Rupert Murdoch, the Barclay brothers) consider themselves free to make up reams of inaccurate content, safe in the knowledge that they'll receive little or no punishment, even on the occasions that the toothless press regulator bothers to investigate and proves them to be liars. Back in 2016 the three worst offenders were also the Daily Mail. S*n, and Express who racked up 43 rulings for inaccurate content between them. 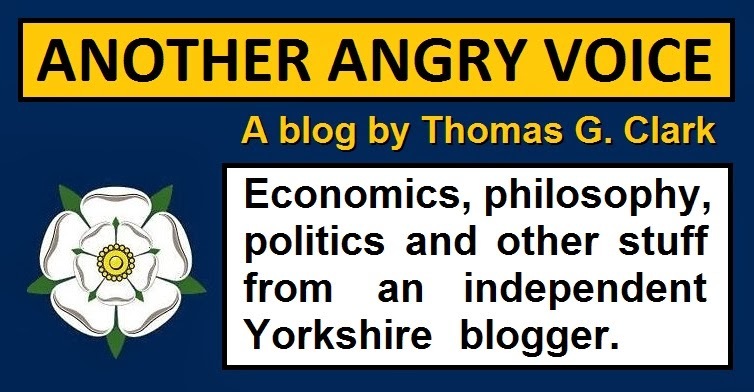 In 2017 the total between these three serial offenders has risen to 70, suggesting that the problem of hard-right propaganda rags spewing inaccurate/misleading/dishonest content is getting significantly worse. 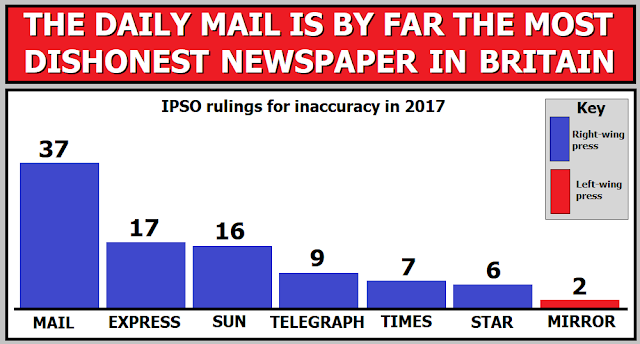 In 2016 the Daily Mail racked up 17 rulings against their inaccurate content, but in 2017 a total of 17 adverse rulings was only enough for The Daily Express to secure a distant second place, after the Daily Mail managed to more than double the rulings against them to 37. These figures suggest that the Daily Mail is by far the most dishonest newspaper in Britain. In fact their deluge of inaccurate, heavily biased, and misleading content was enough for Wikipedia to classify them as an unreliable source, yet millions of people still read this vile and demonstrably dishonest hard-right hate rag. If you see any misleading/inaccurate/dishonest content in the mainstream press, you should consider lodging a complaint with IPSO. Yes, IPSO is far from ideal, and totally toothless when it comes to punishing newspapers that lie to their readers, but they work on a public complaints basis, and if people don't complain about inaccurate content, they simply won't bother to investigate it. Save the link to the IPSO complaints form in your bookmarks, and use it to lodge a complaint the next time you come across a mainstream media article that you consider to be demonstrably misleading/inaccurate/dishonest.